Have you ever pushed the pram with your child sound asleep and been planning all the things you’re going to do when you get home whilst they finish their nap? Like finally drink that hot cup of coffee, make that phone call you needed to make or load the washing machine? But the minute you park the pram…BAM…they woke up? This happens to me at least once a week…well until recently it seems! 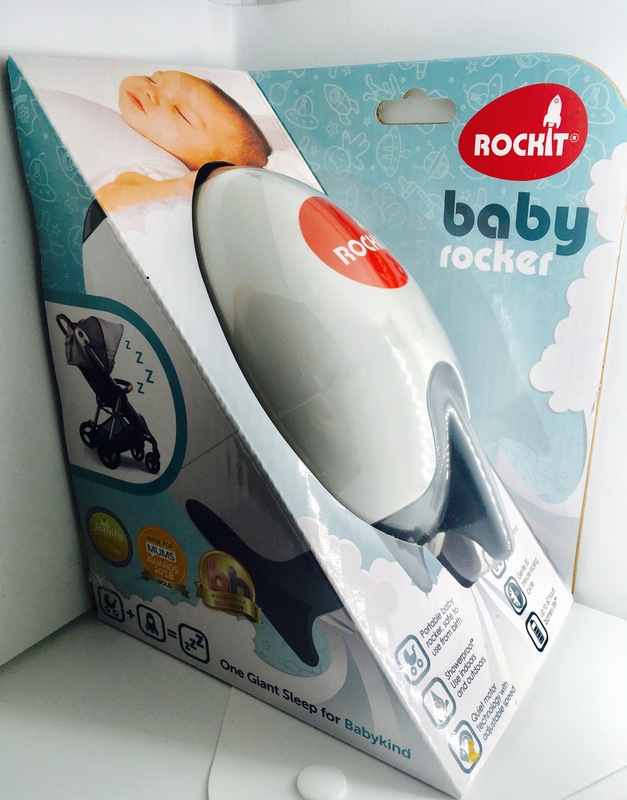 We were kindly sent the fabulous Portable Baby Rocker ‘Rockit’ to try out. Which is a genius and very stylish rocket shaped contraption that clicks onto the pram and mimics the movement of you pushing the pram when you stop. Ultimately, stopping you from waking your baby up when you stop pushing the pram and allowing them to finish off their nap. 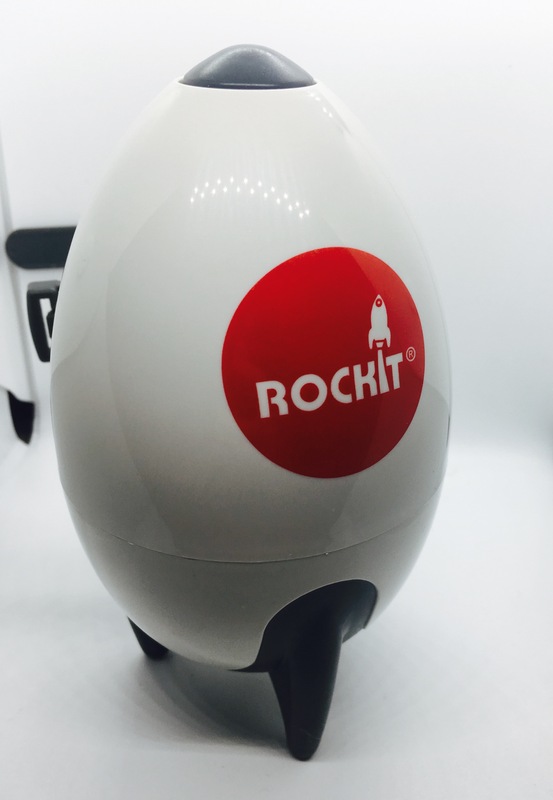 We loved it so much we did a Twitter Competition with Rockit*, enabling one lucky person to win their own Rockit Portable Baby Rocker. This competition has now closed. So, what did we like about the Rockit? Lets Little Ones Finish their Naps Properly in the Pram – Obviously the main reason we loved it, was that it enabled us to not have to keep walking when our toddler fell asleep in the pram. We could stop for a coffee in a cafe for example and press the button on the Rockit and it would gentle keep a bit of movement and allow them to finish their nap properly. 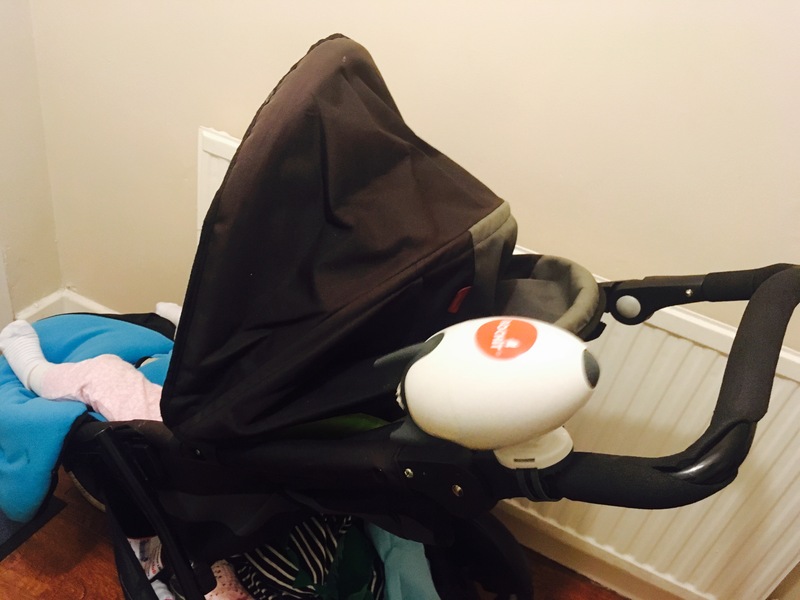 And more often we could do shorter walks to get our little one to sleep, park the pram inside our house and put the Rockit on so they could still sleep. Practical– Its not just a gimmick either, we found it to be really practical. It’s created by parents and is well thought out. 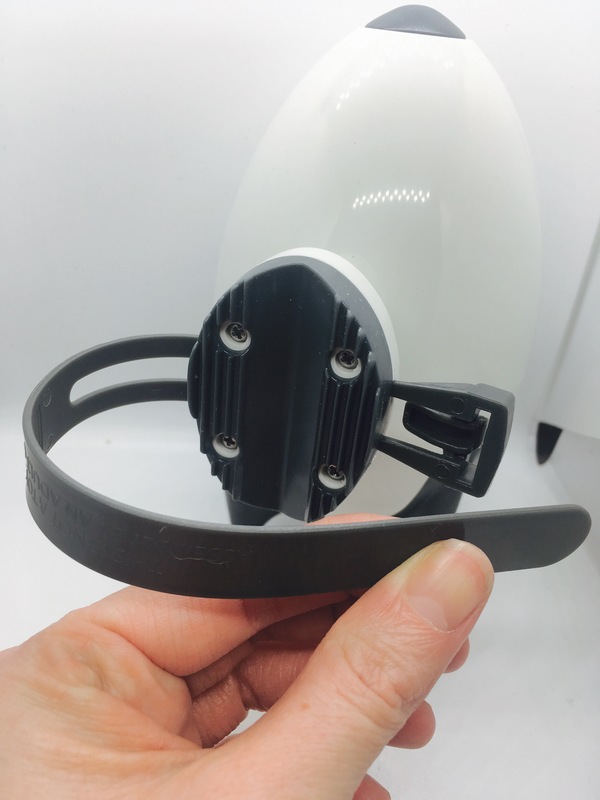 For example, it’s quiet (so it’s not going to wake them up or drive you insane), it has a universal strap to attach it to your pram and you can take the Rockit off and on the strap easily to keep it safe. Stylish– I also liked that the Rockit also looks quite nice on the pram. Unlike many baby gizmos it’s not huge and brightly coloured! Instead it’s simplistic and stylish. * Terms and Conditions for our Twitter Competition (which has now closed) can be found here.